Washington, D.C.— Today, FCA US (Chrysler) announced a full recall of all 153,859 non-hybrid 2017 Pacifica Minivans in the United States due to engine stall. Chrysler will also be recalling more than 8,000 Pacifica Minivans outside of the United States. The Center for Auto Safety, along with former Pacifica owner Adam J. Cohen, on November 20, 2017 petitioned the National Highway Traffic Safety Administration to open an investigation into this dangerous condition. At the time of the petition Chrysler noted that the seat belts and airbags were not compromised by the vehicle stalling. 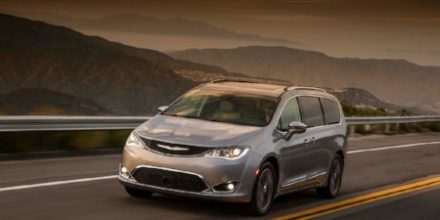 On the day the Center filed the petition it also called on Chrysler to conduct a full recall of all non-hybrid 2017 Pacifica Minivans, and to provide loaner vehicles until the cause of the stalling was identified, and a repair was available for consumers. “Following the Center for Auto Safety’s petition in November, we are pleased to see Chrysler respond appropriately by conducting a full recall of the Pacifica Minivans, because stalling is an incredibly dangerous condition that puts the lives of drivers, passengers, and others sharing the road at risk,” said Jason Levine, Executive Director of the Center for Auto Safety. “We look forward to seeing Chrysler undertake a model recall by rapidly contacting all affected owners to ensure this remedy is applied to every single vehicle before this defect results in a serious injury or death. The Center will continue to monitor the situation, and would recommend manufacturers take consumer complaints more seriously at the outset” Levine added.